Aleksandar Komanov is a repeated World champion in kyokushinkai karate. For 16 years, he has trained tirelessly and as a result some of his other titles include: seven-times European champion, two-times Vice-world champion, three-times Japan’s champion, two-times Vice-European champion. He has competed in professional MMA fights, where his rating is 3-0 (wins-loses). All wins were KOs. Alexandar Komanov was awarded with the prize “Number one athlete of Plovdiv” for 2014. 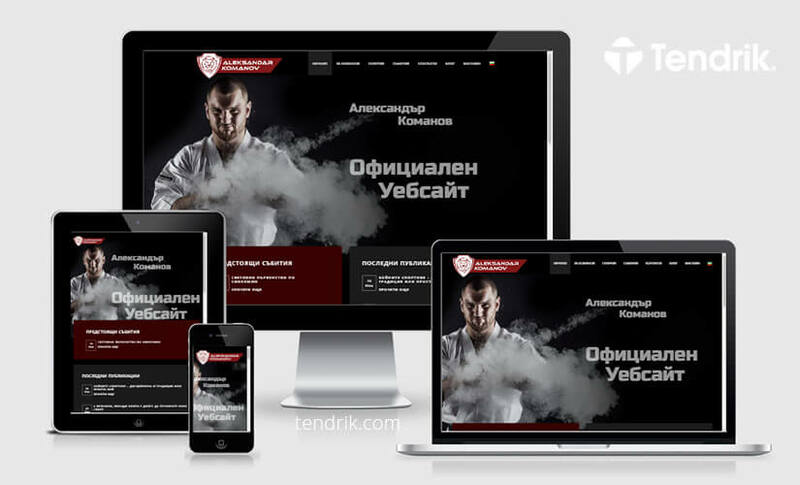 Tendrik has developed the athlete’s official website to enable users to get acquainted in detail with his personality and sports he practices. For this purpose, we used WordPress, which provides a huge range of features and functionalities and is known for its ease of use, its simplicity, and personalization it offers. A panel with information about upcoming events and appearances by the athlete. 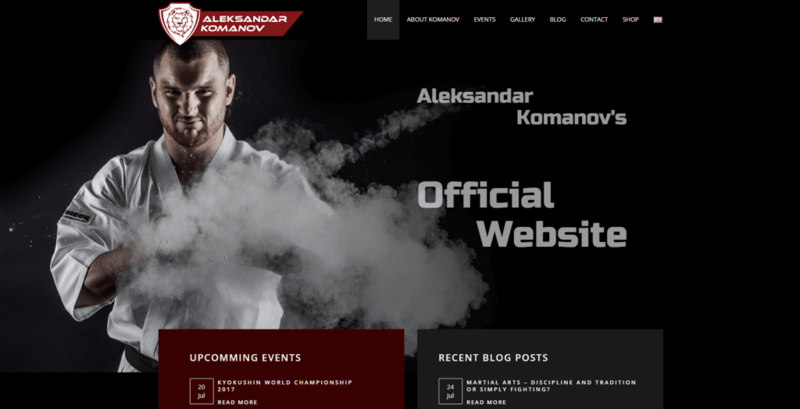 We created a blog in addition to the official website, which will offer more detailed information about the world of Aleksandar Komanov and martial arts. 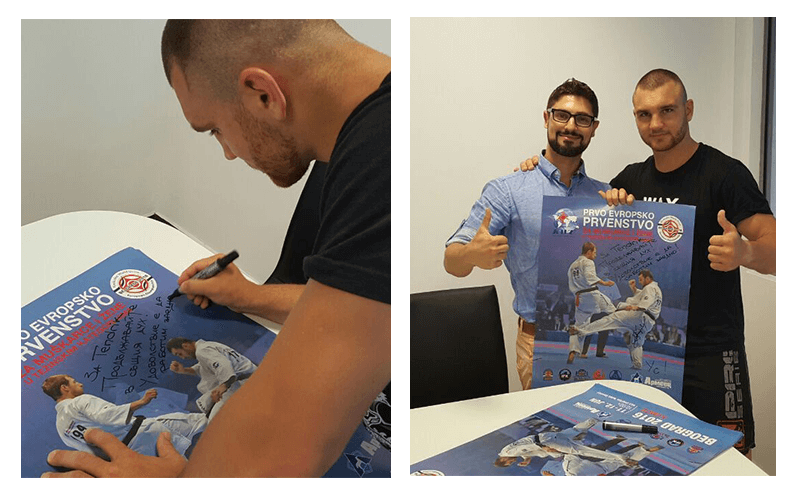 The opening of the online store Komanov Shop – sporting goods and nutritional supplements is also an upcoming event. Our team is working hard on it for it to be available as soon as possible. The store will also be multilingual and will offer various payment methods in multiple currencies. It you like our projects and want to use our services, do not hesitate to contact us.